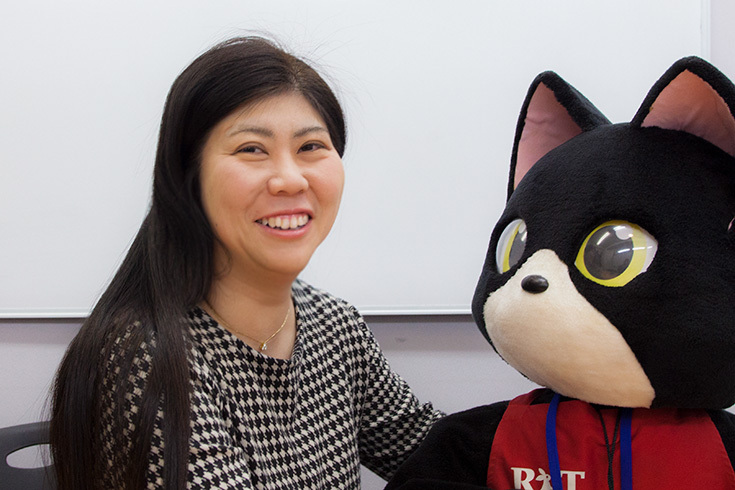 Actively participating in a joint drill with the local fire station and a disaster relief project, Ms. Watanabe is a first-year student taking a doctoral program at the Aichi Institute of Technology (AIT). 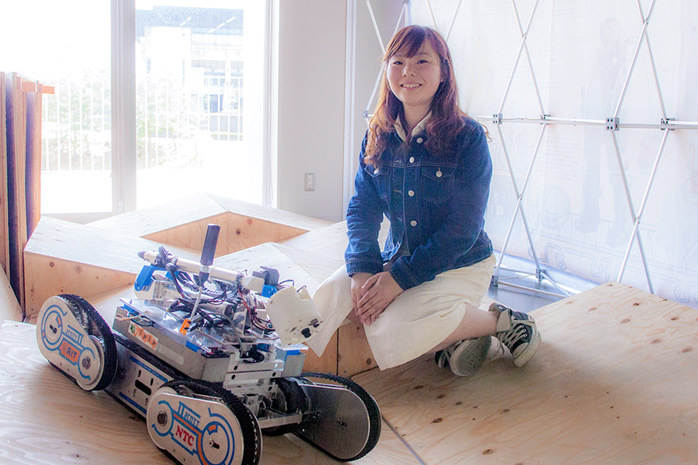 Last year, she competed in the rescue robot league of RoboCup 2016 in Leipzig, Germany. 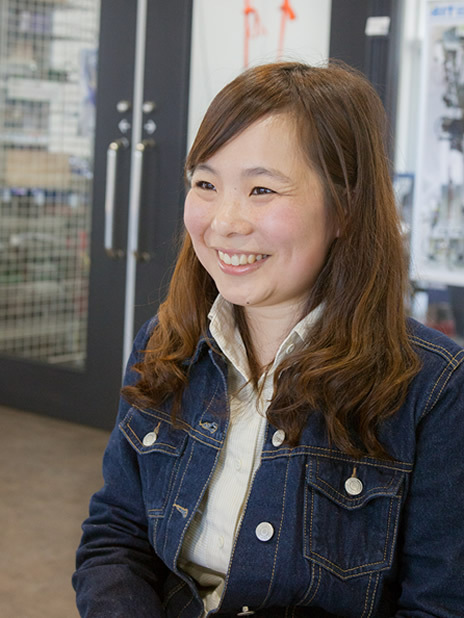 This year, she will compete again in RoboCup 2017 Nagoya. 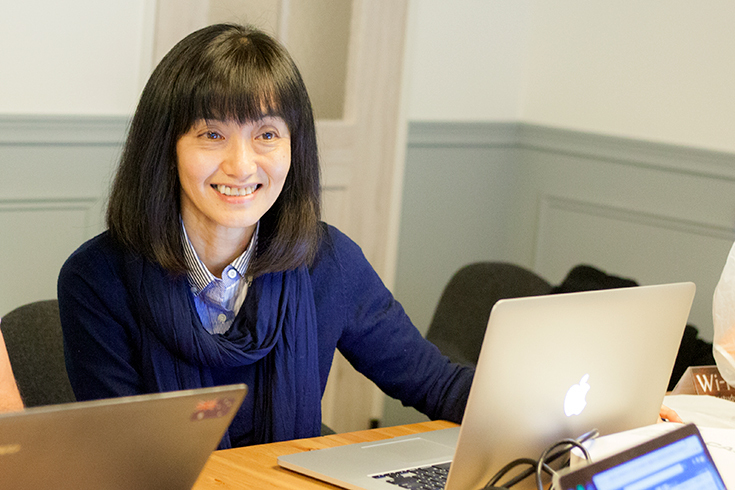 She shared with us the technologies needed to compete in the RoboCup rescue league, as well as the challenges to overcome and the event’s attractive features. -	Can you tell us what started you competing in robot games? 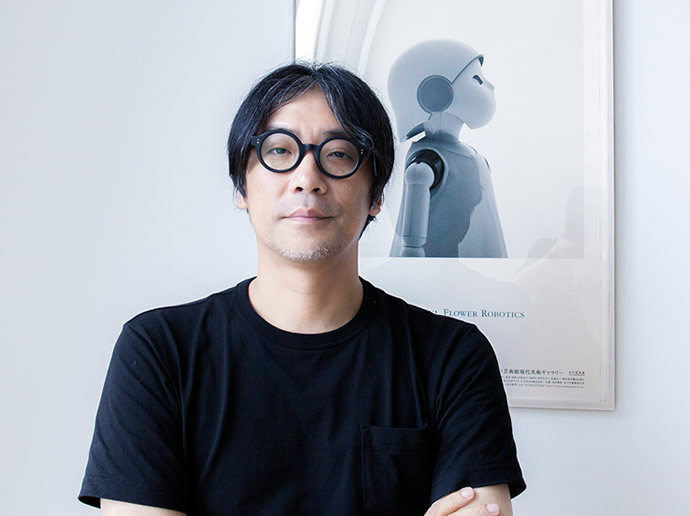 It was RoboCup. When I was a kid, my father took me to RoboCup Japan Open to watch the robot games, which made me feel like giving it a try someday in the future. Also, when I was a junior high school student, I wanted to make a robot, but there were no friends around me who wanted to do so. -	So, unfortunately, your wish didn’t come true at that time. Well, I had no friends who would make a robot together with me, but I played alone with a robot kit used in those days at the platform league of RoboCupJunior. At high school, I belonged to the mechanics course, where I developed a simple game using C language and learned about simple programming in class. However, there were no opportunities to make a robot. -	You didn’t compete in RoboCupJunior in your high school days, did you? No, I didn’t. Though I wanted to make a robot, there were no opportunities to do so. After enrolling in university, I began to really want to study robotics. That strong desire drove me forward. 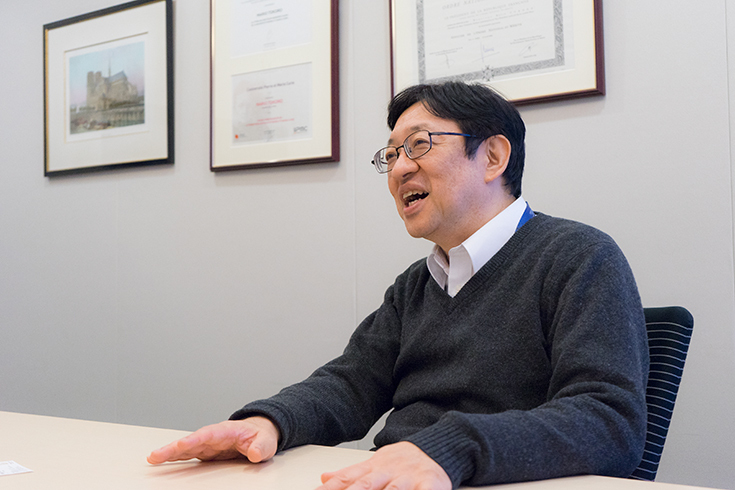 As a student of Associate Prof. Okugawa’s laboratory, I started to study rescue robots. I also began to compete in the Rescue Robot Contest, a competition held in Japan. 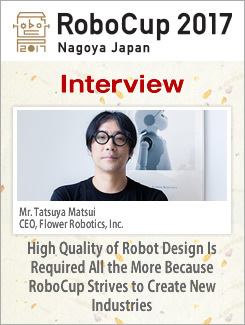 -	It’s a different event from RoboCup. 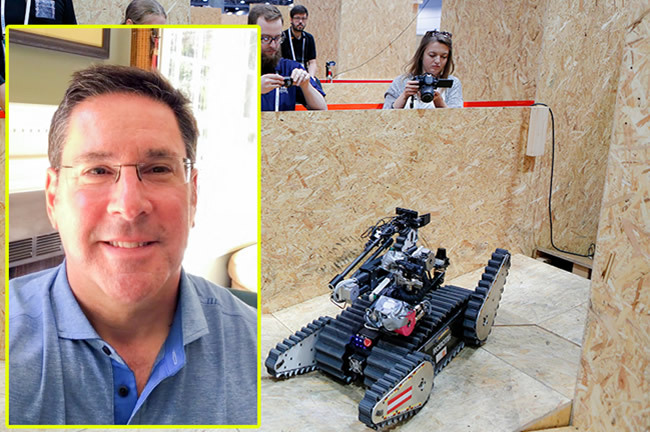 What are the differences between the RoboCup rescue league and the Rescue Robot Contest? They’re the same in that robots are engaged in rescue efforts at disaster sites. 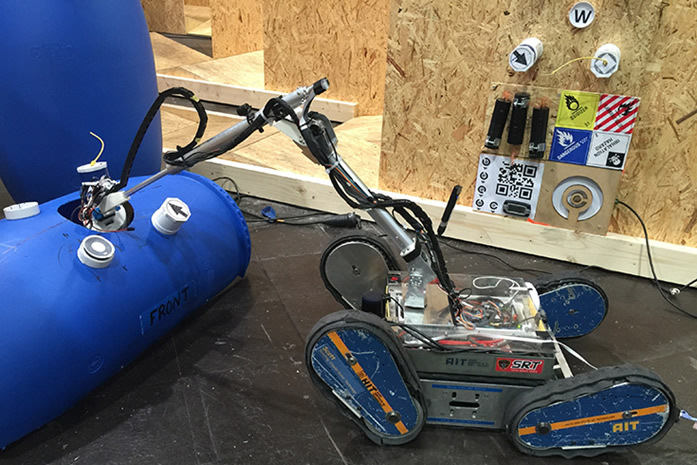 But in the RoboCup rescue league, the main emphasis is placed on the mobility with which to move around a disaster site and the technologies to detect people. Meanwhile, in the Rescue Robot Contest, a number of human models are placed at the competition site, and the competitors need to rescue them, using robot arms and other tools. -	I see. So, how was your result at the Rescue Robot Contest? Actually, not so good (laughter). But in 2013, we received a Kisoi Motohiro Award, in recognition of the robot concept that we were working on in those days. -	That’s amazing! Can you tell us more about the concept? Well, we employed a system in which a robot made a triage decision when rescuing people. Rescue dummies, representing disaster victims, were placed with their eye lighting on, as well as with some markers on them and some sound coming from them, in order to show the seriousness of their injuries and other damage. Our system was designed for a robot to recognize these indicators and prioritize seriously-injured people when deciding who should be taken to hospital first. We were very happy that our system earned such high recognition. -	But you’ve also competed in the rescue league of RoboCup, haven’t you? Yes. I started to compete in the RoboCup rescue league as a senior student of a faculty at AIT. 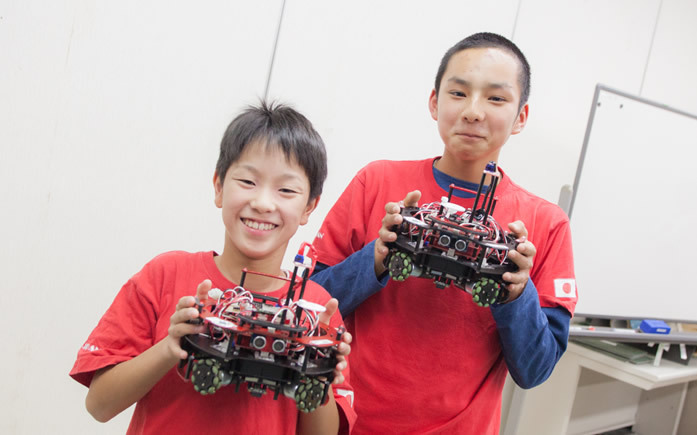 We won at the 2015 RoboCup Japan Open. -	That’s also an excellent achievement. I guess robots that had been actually used at disaster sites also competed that year. So, it follows that you got your victory at the Japan Open over such strong competitors. It’s awesome! -	As the winner of the Japan Open, you competed in RoboCup 2016 in Leipzig, Germany. How did you do there? Unfortunately, we couldn’t advance to the final heat. We were confused by the differences between the competitions held in Japan and overseas in terms of concepts and robot sizes. In Japan, the focus is on what a compact robot can do, but I feel that in the overseas competition, we should have aimed even higher. -	Can you explain what the rescue league is like? The rescue league consists of various categories, and we compete in the one where actual robots are controlled remotely. In that league, we first compete for the “basic score” in advance. This score is given depending on the quality of basic performance of mikes, sensors, manipulators, and other items. 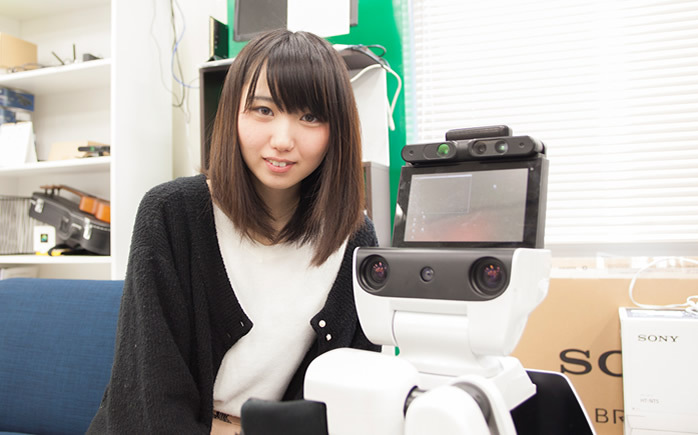 To be more specific, a robot is graded for its sensor equipment performance, such as capabilities to read QR codes and detect human exhalation. One of the highlights of the rescue league is a driving test. 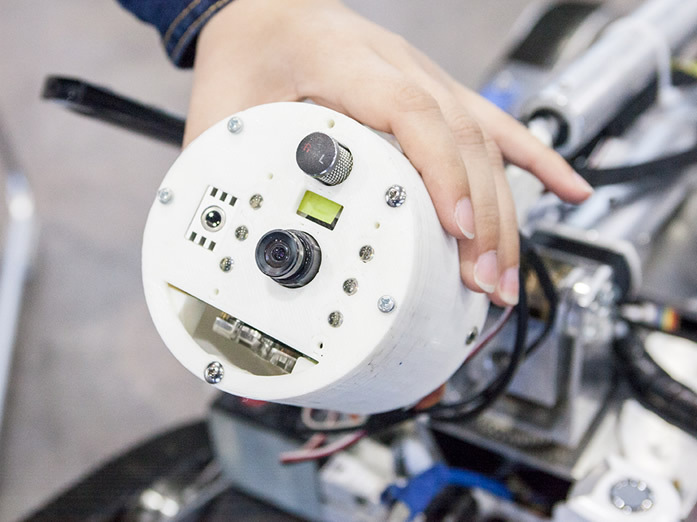 From among a number of bumpy courses set like a maze, each team selects a course for their driving test to demonstrate the performance of their robot. In the rescue league, each team is ranked not based on contests against opponents, but based on the evaluation of their research and development efforts. In the preliminary round, no rescue dummies are used. Before a driving test, a robot is judged to obtain a basic score, which is given depending on the robot’s performance in the six inspection tasks and the four dexterity tasks. This basic score is multiplied by the score obtained in the driving test. Thus, the winner of the rescue league is determined according to the total score obtained through this process. The six inspection tasks check video image recognition; motion detection; thermal image resolution; audio acuity; color/pattern recognition; and gas detection. The four dexterity tasks consist of Inspect (identify the number of bars drawn on the internal walls of a 5 cm pipe); Touch (touch a 1 cm diameter circular target on the end of a pipe); Rotate (grab a 5 cm octagonal pipe cap and rotate it 180 degrees); and Extract (grab a 5 cm octagonal pipe cap and pull it out of the pipe). What do you think prevented you from advancing to the final heat in the international competition? Your basic score is multiplied by your driving test score, and the resulting score becomes your overall evaluation score. Our team couldn’t earn a sufficient basic score. 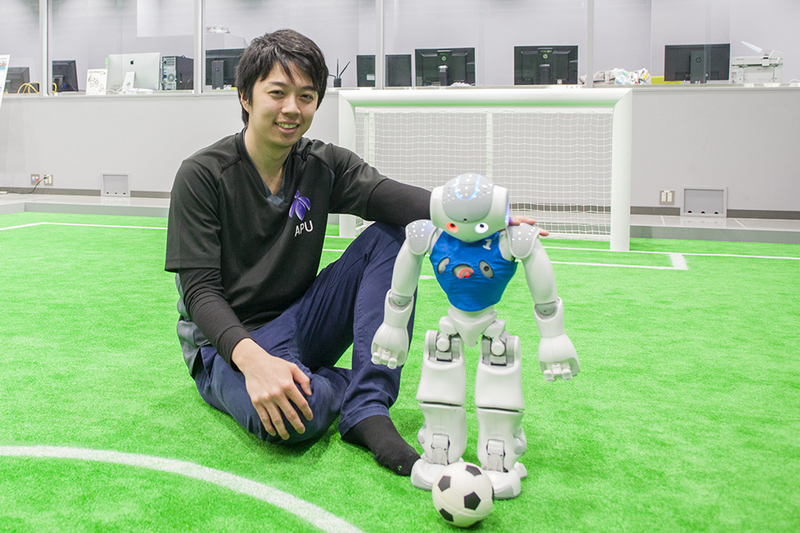 This is the robot that won at RoboCup Japan Open and competed in the rescue league of the international competition, isn’t it? Can you tell us what the main feature of this robot is? This robot was highly evaluated that despite its compact size, it shows excellent mobility even if there is a step. The main feature is that the robot is easy to control. 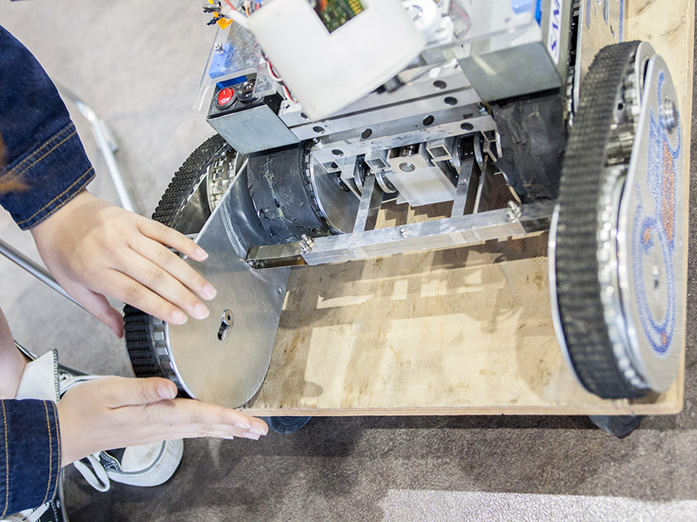 For example, when a robot needs to go over a step or climb stairs, you usually need to operate the controller to lift up the sub-crawlers (front wheels in this case) in line with each step. However, we’ve used some ingenuity for the sub-crawlers of this robot. When bumping into a step, the sub-crawlers will be lifted up in line with the step. Once the pulleys start to rotate, the robot automatically tries to climb the step, using its driving force. Accordingly, all you have to do in order to make the robot go over a step is to operate the controller to advance the robot. This robot has been designed to climb steps with a maximum height of about 20 cm. 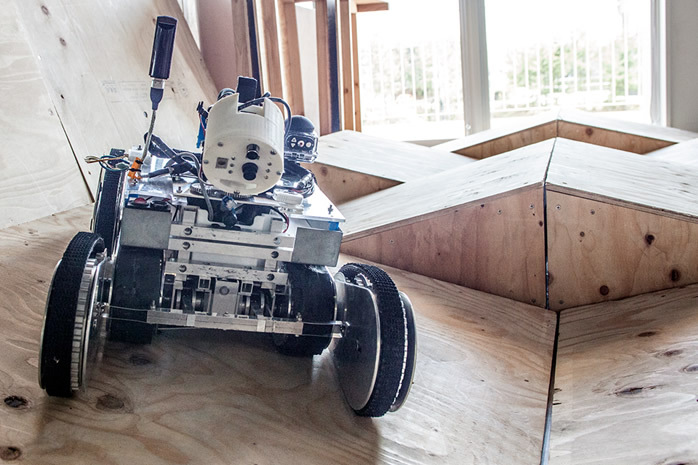 But in international RoboCup competitions, there are courses with much higher steps. So, even if the robot tries to climb such steps by using its sub-crawlers, I feel that the robot will end up falling backward, if we don’t change its current mechanism. What’s been mounted on the arm? A camera, a temperature sensor, a CO2 sensor, and a mike have been mounted. By extending this arm, the robot checks the surrounding environment and the inside of holes (pipes). If there are any survivors, the robot will detect CO2 from their breath and their voice calling for help, which will increase the likelihood of their discovery. In the case of RoboCup, the evaluation points for a basic score include the detection of CO2 from human breath and the collection of voice using a mike. In addition, you can mount a speaker on the arm. Such a speaker is expected to be used by the remote robot operator in order to ensure oral communicate with those who need rescue. In the rescue league, we need to extend the arm and look through the hole to check the inside situation and recognize characters given in the inside area. In addition, the emphasis is now being placed on hand dexterity tasks, such as opening a door, piling blocks, removing obstacles, and touching designated points with a pen. So, is your future challenge equipping the robot with a control function by software? I’d like to introduce a semi-autonomous driving system. In a stage where steps continue in a regular pattern like stairs, a robot also needs to continue to take action in a regular pattern. In such a situation, a robot with a semi-autonomous system might move more smoothly and faster. Moreover, when climbing a step, a robot is less likely to fall down, if its arm is extended forward to shift its center of gravity forward. The slant angles of a robot and its arm can be measured with sensors. So, if the robot autonomously calculates the appropriate position of the arm based on the robot’s slant angle in order to ensure the best balance, it will end up increasing the stability of the robot, which will in turn further enhance its operability. To do so, I feel that it would be effective to provide software-based support for realizing semi-autonomous driving and maintaining a good balance. Since we major in mechanics, it’s not so difficult to simply make a robot run, but we’re not so good at control system software technology. I see. So, you use the arm to strike the best weight balance, right? For the hand function, which I mentioned before, I believe that if a software-based control technology is introduced for automation or semi-automation, it is highly likely that the robot will become able to recognize and grab objects more accurately, leading to a further increase in the operability support. I feel that this will make us different from stronger teams. Can you tell us about joyous and frustrated moments that you’ve had so far by working on robots? 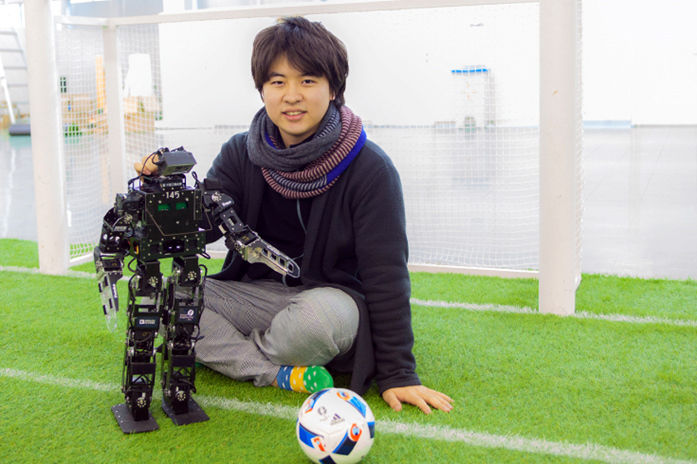 The most joyous moments were when we won at RoboCup Japan Open, and when we competed in the international RoboCup competition, which I had long dreamed of. On the other hand, I felt frustrated when I realized that our capabilities were inadequate. In Japanese competitions, this robot is big and speedy enough to compete on a conventional level, but in the international competition, the other robots were very powerful and well-automated. When do you feel the attractive features distinctive of the rescue league? It’s when we realize that our robot can be of use at disaster sites. For example, this robot participates in a joint drill organized in coordination with the fire station of Toyoda City, where our university is located. In addition, the robot also participates in projects intended to research the use of rescue robots for tunnel ceiling collapse accidents, like the one in the Sasago Tunnel, and for lignite mines with soft ground. If we overcome the robot problems that we encountered at the international competition, this robot would be of even more use for actual disaster relief efforts, research activities, etc. I’m really happy about this.